When Copper Sky Renovations came to us, they were struggling to grow their traffic online. 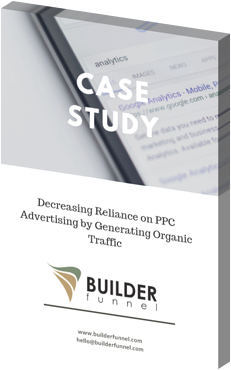 They were spending $1,500 per month on Google AdWords to drive all of their traffic, and they weren't making any progress in terms of natural, organic ranking. Download the case study to learn how we reduced Copper Sky Renovations' reliance on paid advertising.